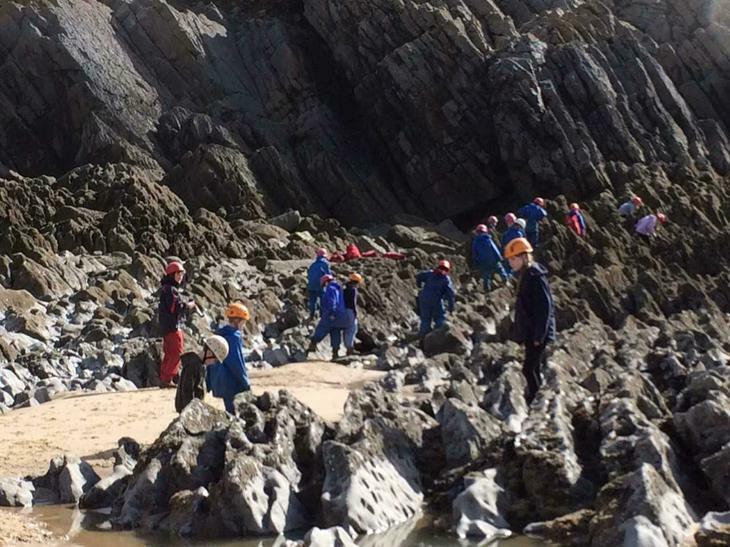 The children have had another fantastic day! 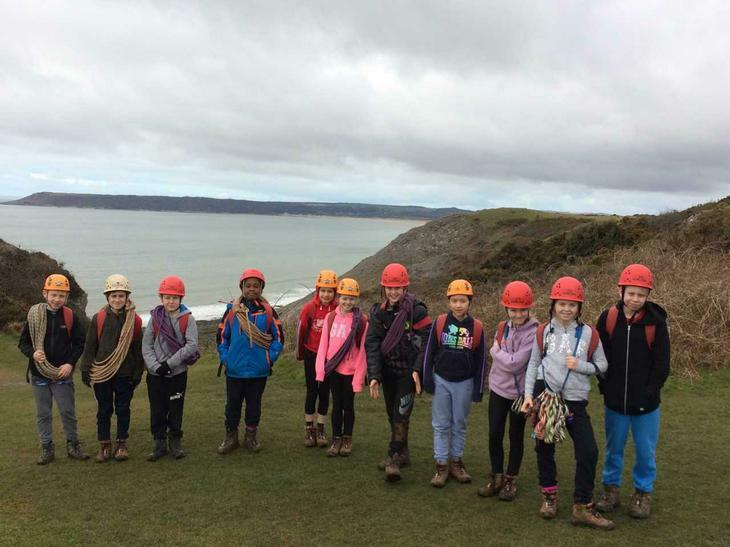 Last night they went for an evening walk to Penard Castle, enjoying the local scenery and an exploration in the dark! They were all tucked up and fast asleep in bed 10pm, and didn't rise from their slumber until 7.20 this morning. 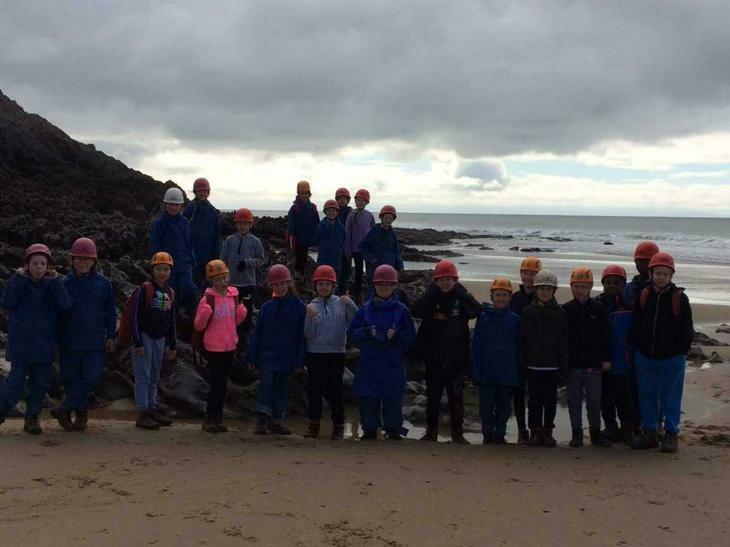 After a hearty breakfast of croissants, cereal and toast, both groups spent the whole day on the coast. 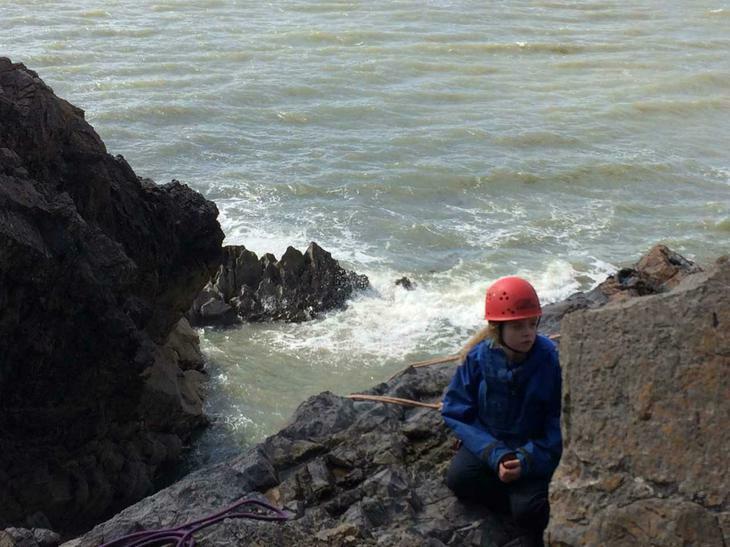 They enjoyed rock climbing, abseiling and scrambling on the rocks. A few children even got wet (again!) from a blowhole! 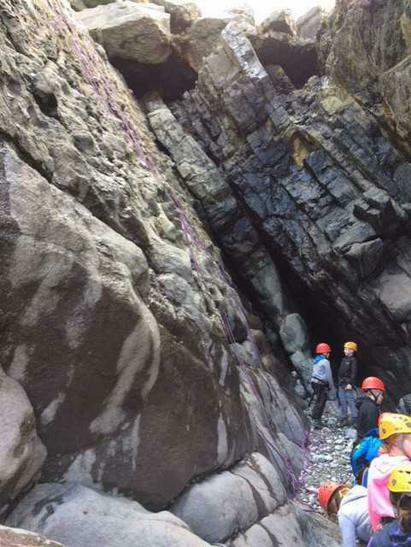 Luckily, the sun has shone all day and they beat the tide as they scaled to the top of the cliff face. What an exciting day! 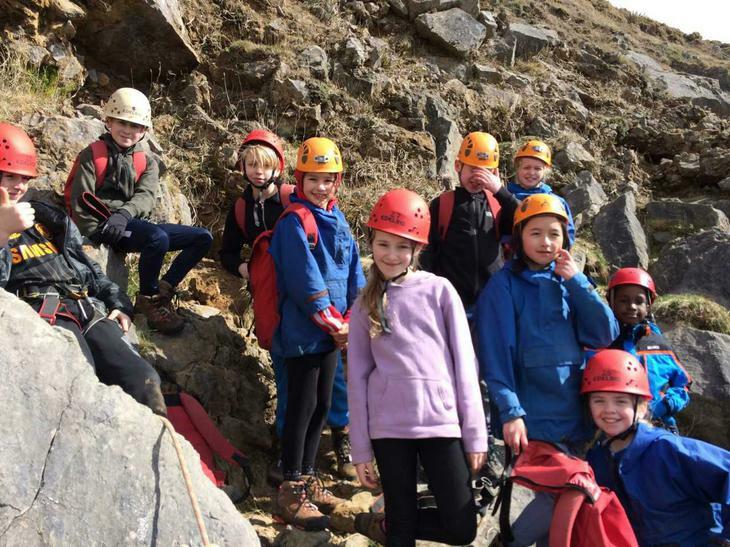 I think the children will be sad to be leaving tomorrow... Let's hope that their last night is a quiet one and that they enjoy the last activities before they leave.